On Wednesday I mentioned that The City Quilter was having a 20% off sale (psst: it’s still on today). And yesterday was also Visit Your Quilt Shop Day, which a lot of people blogged about. Between the two of those, well, I practically felt an obligation to go see what they had. I’m sure you know what that’s like. I have to admit, I am trying not to buy anything unless something leaves my stash, because I am simply flat out of space for fabric, but yesterday I made an exception. (For better or worse, I’m good at those.) But I could always count it as part of the replacement for the fabrics I pulled from stash for my scrappy trip quilt, if I really need to rationalize it. 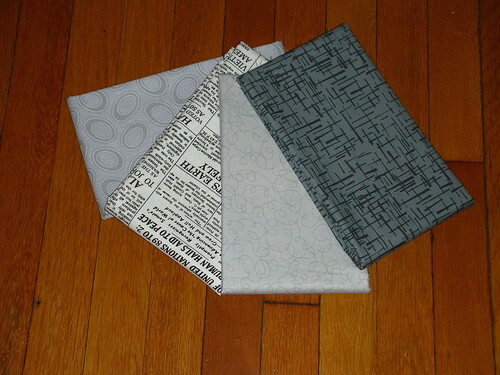 I’m planning to use the madrona road prints for a pincushion, with a solid neutral as the third color. I have no idea what I’ll do with the others, but my stash was low on grays, and I love the Flea Market Fancy flower dot print so much that I’m sure it will get used up quickly. 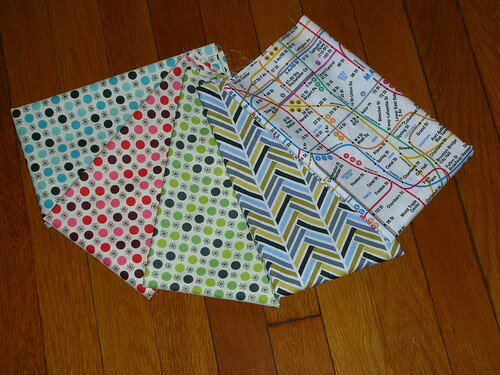 Hi Alisa, love your jummy fabrics! Happy Quilting!